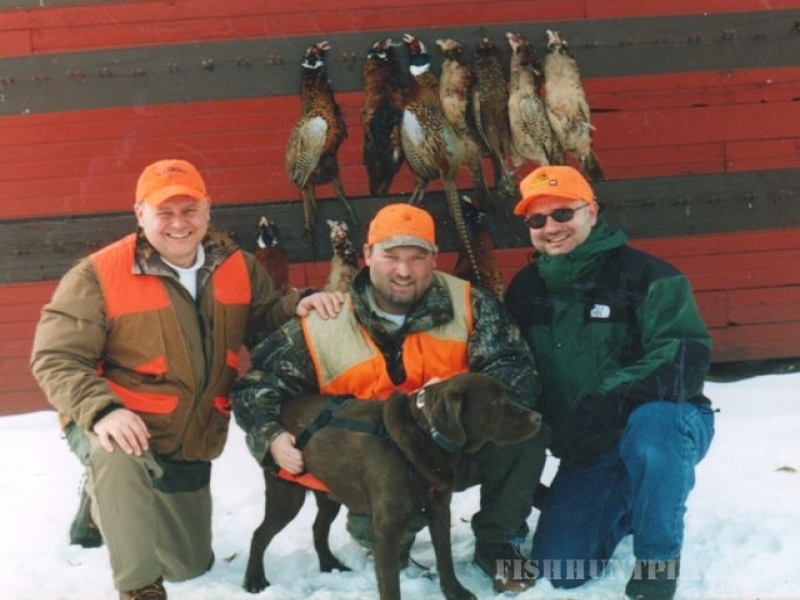 Hunting in United States Illinois Rogers' Hunt Club, Inc. 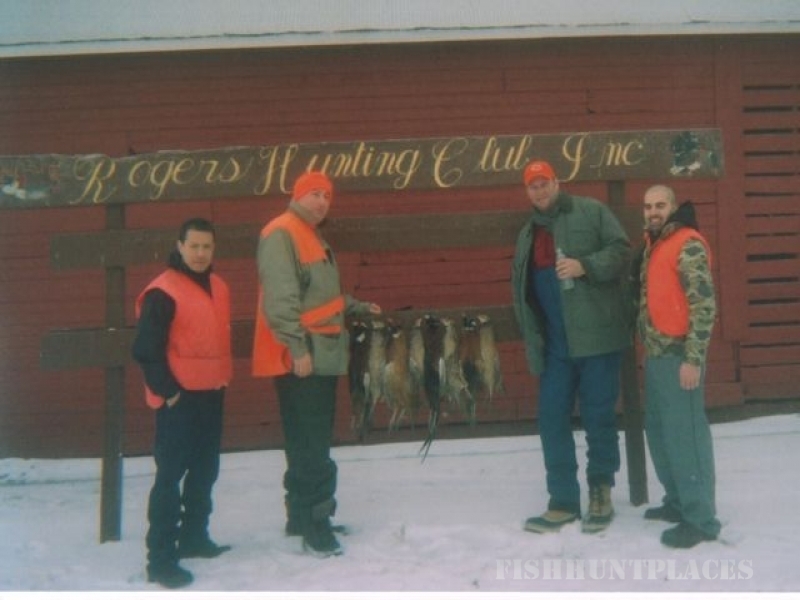 Hunting in : United States : Illinois : Rogers' Hunt Club, Inc.
As most of you know, my Mom and Dad started the club in 1957, when I was ten years old. Mom and Dad ran the Green River Conservation Area for several years prior to starting their own business. 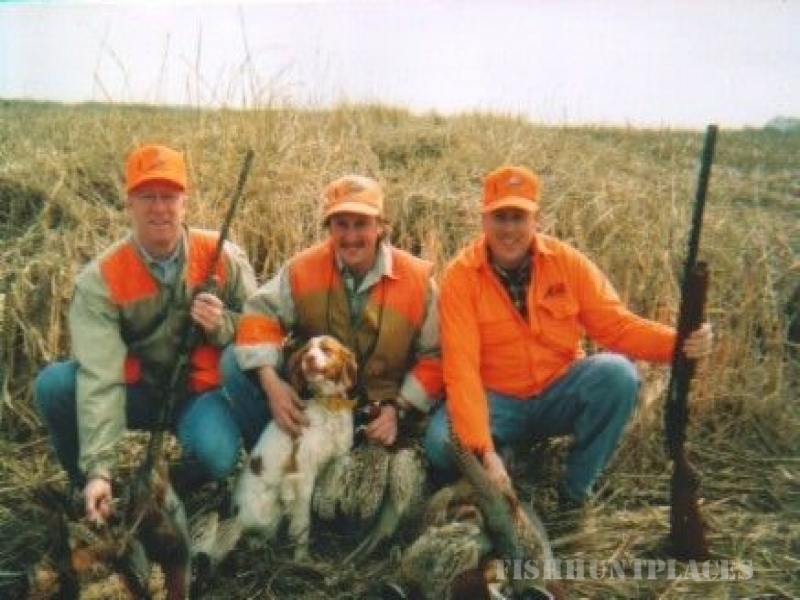 Dad and Ma offered quail, pass shooting mallards, partridge, and pheasant They started their memberships at $120.00 and you got 20 birds for that price. Daily hunting was $12.50 for two birds. They purchased a small building over Rock Falls, Illinois and moved it from there on a hayrack. My three brothers, Don, Charlie and Howard Rogers Jr. helped them remodel it. My sister, Ila Mae, and her husband also helped. Dad gutted the inside and made a clubhouse out of it. 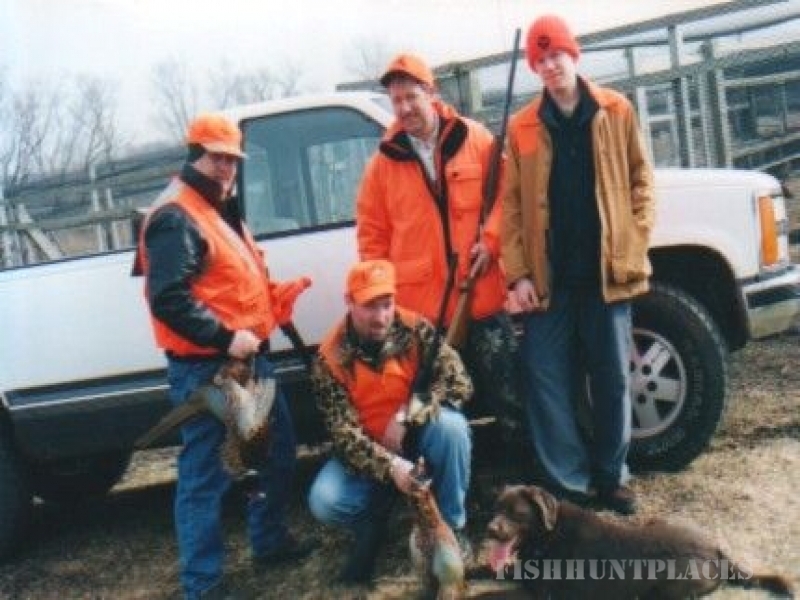 Mom loved to cook for the hunters, and also cooked for the dog trainers that they used to have at the Green River Conservation Area. In the mid '60s, again with the help of my brothers, sister and brother-in-law, they put a 30' x 36' addition to the east, which is now our dining area. Dad worked for the Rock River Ready Mix and received all of his concrete that was left over from previous jobs. He would form up a little at a time, until they finally got enough to finish the foundation. My brother, Charlie, was an electrician, as well as being a good carpenter. He did all the wiring for my Dad. Roxie and I bought the farm business in 1975. We put a 16' x 24' addition on in 1978. In 1993 a new cleaning house with all the stainless steel sinks and tubs was added, and in 2004 we installed a new patio, kitchen, and bathroom. You can see there were little pieces added through the years. We have one member, Dr. Robert Krenz, DDS, who has been with us since the beginning of our operation in 1957. Doc is now retired and brings his grandson out to the club. 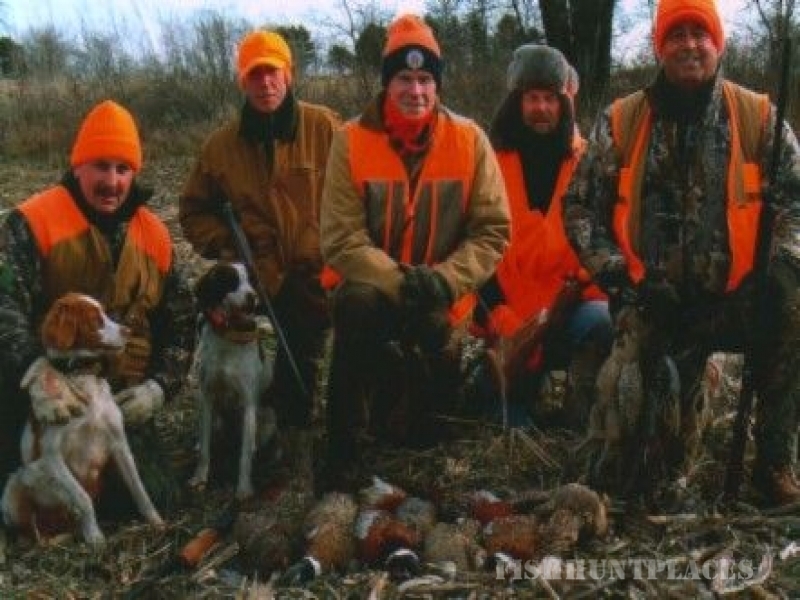 For those of you who haven't experienced our morning breakfast, we invite you to try it out before your hunt. Our homemade sausage and our thick sliced bacon is something you can't find at any restaurant. The local butcher shop puts pork loin hams in our sausage. It's called whole hog sausage.